UPDATED: Wed., May 9, 2018, 7:21 p.m. Dozens of Seattle businesses not named Amazon are calling for the city to abandon its proposed head tax, which would raise money for affordable housing and homelessness services. After Amazon’s high-profile “pause” last week, businesses have rolled out a coordinated barrage to make their case against the $75 million-a-year proposal, arguing that it amounts to an intentional slowdown of the city’s booming economy. 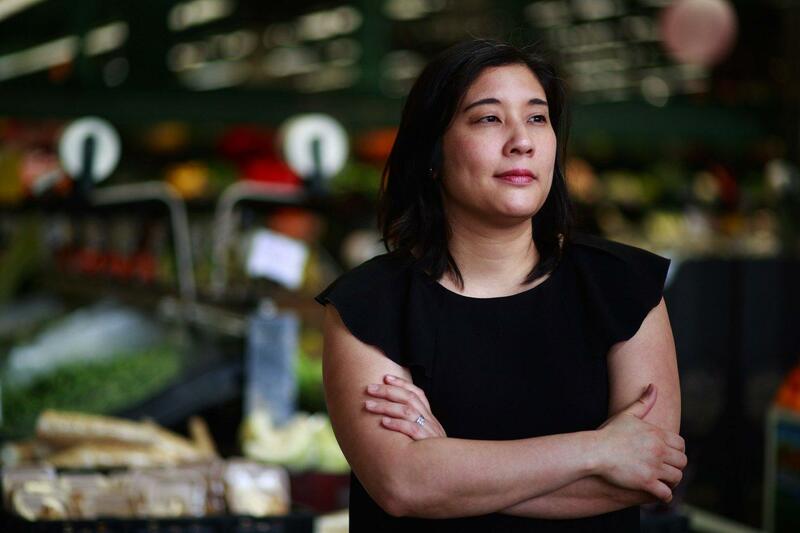 “It’s being called an Amazon tax and people think it’s really impacting these big companies that make huge profits and revenues,” said Denise Moriguchi, chief executive of the longtime, family-owned grocer Uwajimaya. But the tax, amounting to about $540 per full-time employee at the estimated 585 businesses in Seattle to which it would apply, would have a much larger relative impact on smaller companies like hers, Moriguchi said. Few other businesses have voiced specific plans to halt work on planned projects or to sublease office space they’d already claimed, as Amazon has — a move that implied the technology and commerce giant would add 7,000 fewer jobs in Seattle if the tax were implemented. An economic-impact study commissioned by the Seattle Metropolitan Chamber of Commerce found that those 7,000 jobs represent $908 million in direct wages a year, hundreds of millions more in lost compensation for employees at businesses that sell to Amazon and reduced economic activity more broadly. Companies that have at least $20 million in revenue in the city of Seattle are subject to the proposed tax. The council’s finance committee met Wednesday to consider and possibly vote on the measure, formally called an employee-hours tax. A vote of the full council could come as early as Monday; at last count, five of the council’s nine members had stated they support the tax. Meanwhile, more than 100 business executives, entrepreneurs and investors – mainly from the tech industry – posted an open letter Tuesday afternoon opposing the tax, even though not all of them would have to pay it. “We oppose this approach, because of the message it sends to every business: if you are investing in growth, if you create too many jobs in Seattle, you will be punished,” reads the letter. Some businesses have voiced support for the tax. In March, a letter signed by small-business owners and community groups said a tax on large businesses was the right approach to the homelessness crisis. “A business tax is the only option left, and taxing only the larger businesses will reduce the impact of these taxes on the cost of living in Seattle,” they argued. Moriguchi, at Uwajimaya, said she and her employees at the company’s Chinatown International District store and Sodo headquarters see the city’s homelessness crisis up close on a daily basis. For the tech industry, the tax proposal is emblematic of a worsening business climate. Washington Technology Industry Association CEO Michael Schutzler, calling the tax “possibly the straw that broke the camel’s back,” said the leaders of growing tech companies, particularly those that already have operations elsewhere, are always looking for alternative places to expand. A company with 1,000 people in Seattle would face more than half a million dollars of added expense each year if Seattle implements the tax – money that otherwise could go toward more hiring. “It’s going to slow down hiring, and if the cost is added on top of the existing high cost of operating in Seattle, then the question is what are other cities where we can recruit and operate?” Schutzler said. Adam Selipsky, chief executive of Seattle software company Tableau, said the company would consider placing some new hires in its Kirkland office or other satellites, but the company, which has spread throughout the Fremont neighborhood over the past decade, remains committed to its hometown. “I just want to be clear, there is no discussion about Tableau leaving Seattle,” Selipsky said. Jeff Vincent, president and CEO of Laird Norton, which has been headquartered in Seattle for 70 years, said the tax would cost his company directly, but his broader concern is how it could impact growth in the city. Laird Norton and Seattle-based Spectrum Development last year launched a $500 million program to build badly needed apartments aimed at middle-class earners like teachers and nurses. The venture has at least three developments in the works that could break ground in the next 12 to 18 months, including projects in Pioneer Square and South Seattle. The company is weighing where to direct its real-estate investing – if, for instance, the tax pushes more jobs to the Eastside, it could focus more housing there. Other big technology companies with major Seattle growth plans in the works have so far held the course. Expedia is perhaps the most significant test case. The travel-tech company announced plans in 2015 to move its headquarters from Bellevue to the shores of Elliott Bay, buying the former Amgen Helix campus for $229 million with plans for as many as 4,500 employees. While the scope and timing of its move have shifted in the intervening years, the company said this week it remains committed to coming to Seattle – even though its chief executive signed on to Tuesday’s open letter. “Expedia Group will move to Seattle at the end of 2019,” company spokeswoman Victoria Cagliero said. Another major company that recently moved its headquarters to Seattle, forest-products giant Weyerhaeuser, did not respond to a request for comment Tuesday on the impact to its business of the proposed tax. Neither did Nordstrom, Starbucks or Google. Construction is under way in South Lake Union on a new campus for Google that could accommodate 3,000 to 4,000 workers. In its home city of Mountain View, California, the mayor is floating a tax on employees that could cost Google as much as $5.4 million a year, the San Francisco Chronicle reports. Facebook, which has doubled in two years to more than 2,000 people in Seattle, pointed to its March announcement of plans to accommodate up to 2,900 more when asked about the potential impact of a head tax. Published: May 9, 2018, 8:41 a.m. Updated: May 9, 2018, 7:21 p.m.